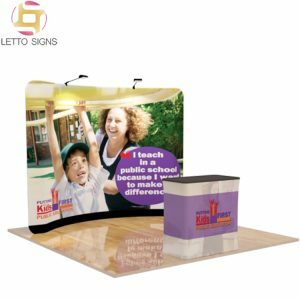 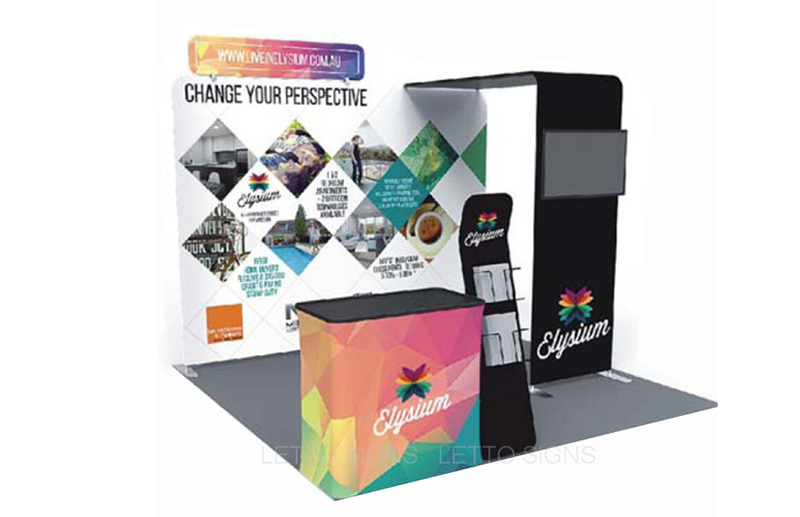 2.Exchangeable graphics on this portable trade show booth are easy to attach and swap out. 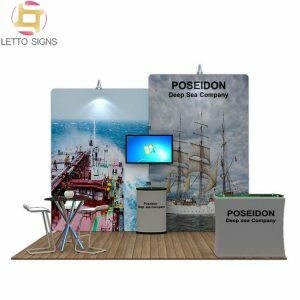 3.lots of use at various industry events throughout the year. 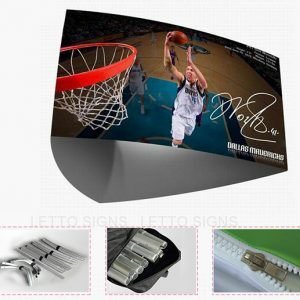 4.Make sure any potential purchase is strong enough to stand up to the rigors of the road.